I'm getting a HUGE tank! Congrates! I just upgraded to a 60gal. I think a 60gal is big enough for my for a while. You have 6 PPs in a 60 gal?! Yeah, only 6 pp's I'm saving a couple others and I'm going to check out a very good pet store. I think I'm going hermie shopping today. 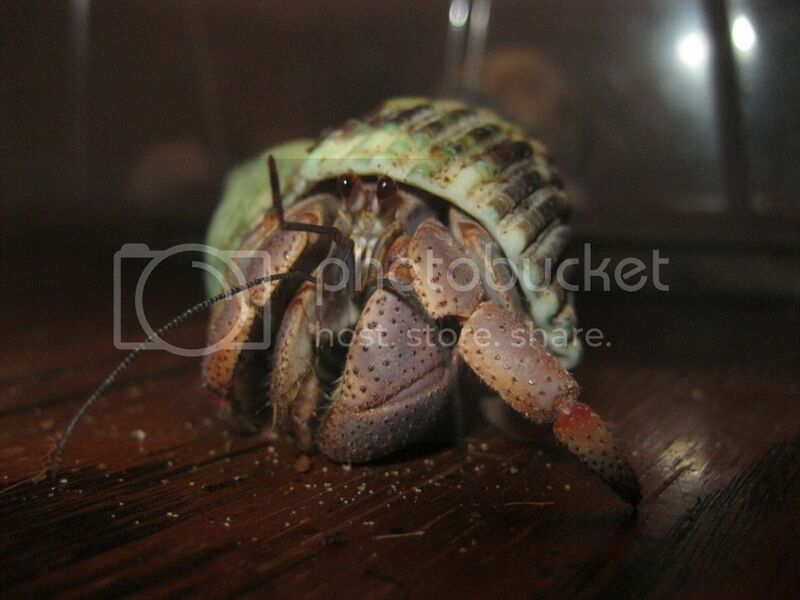 I go shopping to save hermit crabs because I have so much extra space. Now, I have eight purple pinchers and I'm soon going to have atleast two more.